Craft a sculpture that is always in bloom! Using ceramic pots, wood and many enticing embellishments, Kristen transforms the ordinary into the extraordinary! 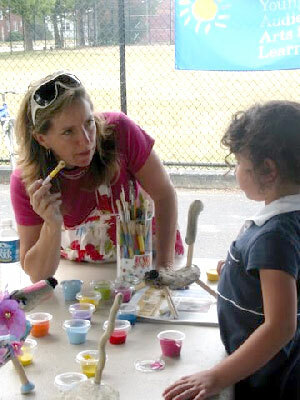 Children get a hands on experience building a small, mixed-media sculpture. Discussing and analyzing ratios, color and shape is a part of assembling this three-dimensional piece.